CenTrak’s expanded product portfolio combines its patented, highly accurate Gen2IR™ RTLS technology, with Wi-Fi location infrastructure. (Newtown, PA – May 30, 2012) CenTrak, a leading provider of Real-Time Location Systems for healthcare, is changing the RTLS landscape by Wi-Fi enabling highly accurate Second Generation Infrared (Gen2IR) RTLS tags. These tags allow healthcare organizations to leverage existing 802.11 investments and obtain the room and bed-level accuracy the market has come to expect from CenTrak. The technology has already been successfully deployed in major US hospitals. The addition of Wi-Fi capabilities to healthcare’s highest performing RTLS infrastructure is expected to fuel continued implementations. Early adopters of healthcare RTLS were often caught in a quandary – install relatively simple to deploy, less accurate, RF-only technologies with limited ROI, or invest in high accuracy, high performance technologies that would unlock the true value of enterprise asset management and clinical workflow. CenTrak’s Wi-Fi enabled Gen2IR tags eliminate the need for such a compromise. 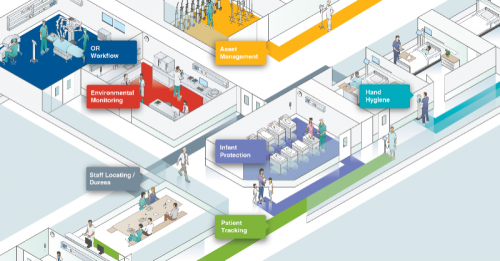 Healthcare organizations can plan their RTLS initiatives based on current requirements and budget, determining which areas of the facility will need basic locating with only Wi-Fi, and which areas will need high accuracy and high performance by adding CenTrak’s Gen2IR technology. This flexibility lays the foundation for a comprehensive future-proof infrastructure which can be easily expanded at any time to address more complex use cases. CenTrak’s battery-operated Gen2IR Monitors and Virtual Walls easily install wherever accurate, fast and frequent location data is needed including rooms, hallways, and even bays. Similar to light, Gen2IR will not pass through walls. However, it does not suffer from legacy infrared and ultrasound line-of-sight limitations that often impact performance in compact areas (such as EDs and PACUs) and open areas where beds are separated by curtains or by nothing at all. Therefore, when a tag reads a room or bay number, there are no errors. This is certainty-basedRTLS, a requirement for today’s healthcare automation and workflow applications. The Gen2IR/Wi-Fi platform enables CenTrak’s 100+ solution providers to receive location data from Wi-Fi tags and Wi-Fi clients including Computers on Wheels and VOIP devices. The integration provides the same Gen2IR performance that CenTrak partners and customers have come to rely upon for addressing hi-resolution use case requirements such as Hand Hygiene Compliance, High Acuity Workflow and Nurse Call Integration. “We are proud to offer healthcare a smarter, future-proof RTLS solution. Our partners’ valuable and often ground breaking RTLS-based solutions can now be more easily extended across an organization’s WiFi network. Whether the location infrastructure is Wi-Fi-based or not, we continue to deliver the world’s most accurate, scalable highest performing RTLS.”, said Dr. Ari Naim, President and CEO of CenTrak.